After writing and reporting about the housing market for over a decade (and commonly getting it right except for interest rates), I have been perplexed about the direction of housing prices and sales as we finish up 2018 and head into 2019. Most of my prior reporting has focused on eight major factors: Inventories, affordability, interest rates, population trends, projected new housing, current pricing, the economy, and the rent vs buy equation. Another factor has also played a part at times - investors, including foreign buyers. If you need a mortgage, call Bill Rayman right now at (424) 354-5325. A huge factor doesn’t really fit with the above. This would be the rent vs buy equation. Generally, as rents rise, tenants consider buying. Of course, as rents rise, investors are willing to pay more for rental properties, and builder are attracted to build more. Lots of moving parts there. The reality is that very, very few markets have anywhere close to enough affordable housing when you combine owned and rented units, and there isn’t enough being built to catch up with population. Overall, there is still a huge squeeze on tenants to afford apartments, and many are doubling up who don’t prefer that arrangement. Thus, this 9th issue would point towards more demand for purchased housing. If these were the only factors at work, you might expect a flat market, and that seems to be what we have right now. But, a fantastic article in the NY Times provided a few nuances. Moreover, in a shocking development, the letters to the editor provided significant insights that the author didn’t uncover. Here are some fascinating elements to consider. Each, on their own, would not have much effect on the market, but taken together they might give hints as to future trends. Grandma still isn’t selling – This is huge and is reducing inventory. But if she sells, she still needs to live somewhere and there is no rental property available at reasonable prices. Millennials are still living at home – This is reducing demand, but will these kids still live at home at 35 or 40? This could be a huge demand component that is lurking. Student debt a huge problem – For some professionals this debt is six figures and hurts their ability to borrow or pay. For some middle-class young people, the debt is less substantial, but still cuts into what they can afford. Very little affordable housing being built – You will hear that new home sales are down, and that homebuilders are despondent. The reality is that they are not building the homes that new families want. This is partly due to the reality that building a smaller home isn’t as profitable, given all the regulations and the cost of land. Affordable housing predicted to go from 20% of new builds to 30%. Earnings are just starting to improve. Through the first eight years of the recovery, earnings have been very flat. With unemployment so low, it would be odd to see earnings not respond, and now they are. This will improve affordability. Immigration will increase – legal and illegal. Every nation with low birth rates must increase immigration or their economy will stagnate. One way or the other the US will see more immigrants moving here due to our huge demand for labor. This will increase demand. Doubling and tripling-up – Singles are commonly living with roommates who would rather not be. This is, of course, due to the cost of rentals. As these individuals find a better job, they will be adding to demand. End of mortgage deduction - The changes in the tax law that increased the amount of the standard deduction, eliminated a major advantage to ownership. This is a factor right now, but will play itself out. Massive housing wealth – Those who owned their home 10 years ago are now sitting on massive amounts of home equity. If these individuals choose to move, they have substantial down payments, whether they are moving up or downsizing. The millennials and Z gen are not that different than the boomers or X gen that went before. Their folks and other relatives are likely to be needed for down payment help. The good news is that the older generation has massive equity, and may have also created additional wealth through the soaring stock market. Concentrations in major urban areas – In the major tech cities, prices are high due to lack of new places to build. Los Angeles, San Francisco, Boston, NYC, and other such cities can only build up. While these areas may see some relaxation in rental pricing over the next two or three years, it will only be a pause. Lower expenses in other home budget areas beside housing – This is a huge factor in the last 25 years. We are spending less and less AS A PERCENT OF TOTAL INCOME on food, cars, clothes, entertainment, travel, children, and almost every other category of expense. This frees up dollars to be spent on housing. The result is that the average individual or family has more money to compete in the market. For instance, if a family used to spend on average 70% of their $50,000 a year income on everything but housing, they would have $15,000 a year to spend on housing. If their cost for everything else dropped to 50%, then they have $25,000 to spend on housing. This provides more buying power, and therefore more competition for scarce resources. Put another way, we aren’t spending 50% on housing because we have to. We are spending 50% because we can. Where does all this leave us? What might 2019 bring in sales and prices in 2019? Location, location, location – Real estate will still be about location in 2019. Crazy high rents and prices for luxury apartments and condos in major cities are likely to soften. The same can’t be said for middle and affordable housing. This will likely be steady to up. There is some indication of significant softening in the very high-end luxury market. 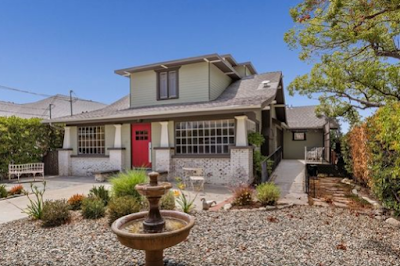 Areas with lots of building, such as the Inland Empire in Southern California, may see slackening demand for resales, but the demand is great due to outward migration from the urban and suburban areas where prices are much higher. Therefore, don’t expect much downward pressure on pricing, and rents will continue up. Suburbs that are fully built out will likely see continued increases if the business climate holds. Sales will follow established patterns. Activity will bounce up in March with excellent sales in the Spring. The Fed might pause on interest rates. Once the reality of historically normal interest rates has sunk in, some buyers will move off the sidelines. Days on market will increase, but still not reach traditional norms. What might seem like dropping prices will really be more realistic increases. Maybe you have a very different opinion. Please leave your comments below. Morgage interest rates are going up. 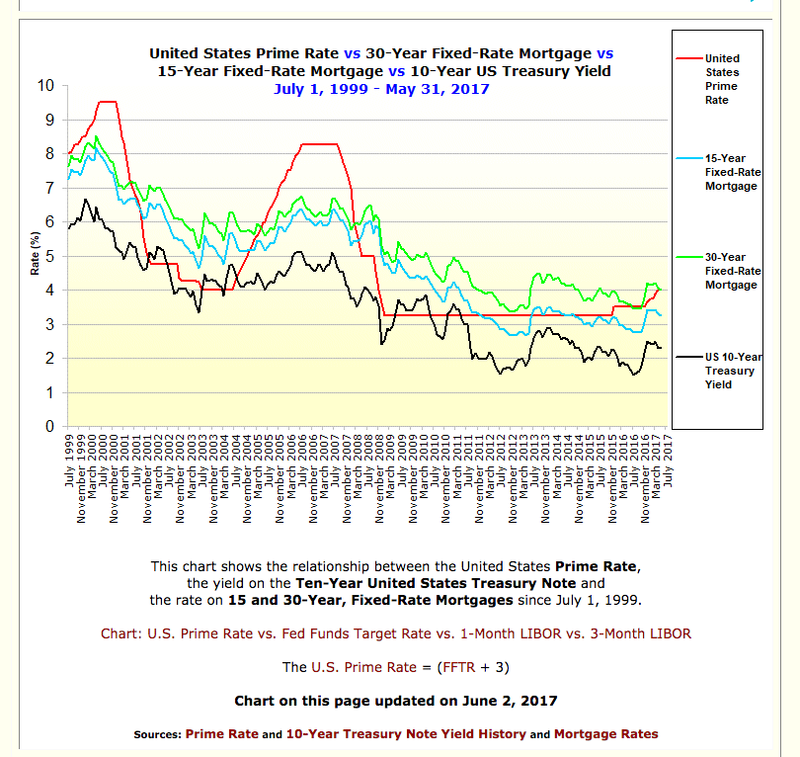 We have finally come to the end of the amazing and historically unique time when mortgage interest rates on 30-year fixed mortgages hovered around 4%, even dropping to under 3.5% for a while. This aberration did not result In a massive influx of new home purchases or of new home building. The reasons for this are many and varied, but while the US enjoyed these rates, the main benefactors were existing homeowners who refinanced. Will we have extenuating circumstances? Who can know? 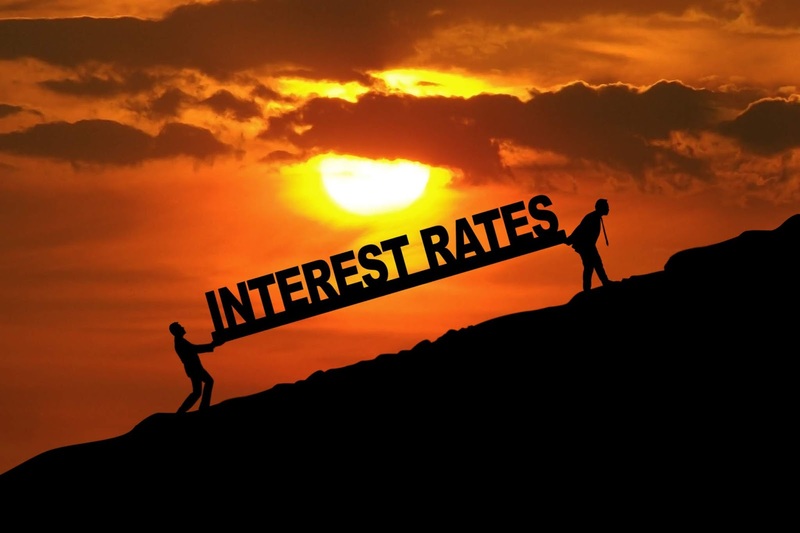 The primary driver of mortgage interest rates is bond interest rates and Federal Reserve rates. Some would argue that we have a bond bubble caused by massive borrowing in the government and public spheres. If that we to bust, we could see bond rates go much higher. Very few are expecting that in the near term. As noted in the headline, each increase in the interest rate of 0.25%, from say 4.5% to 4.75% will increase the payment on a $500,000 home by $60 a month or about 0.025% of the payment of $2450 (including property tax, insurance, etc.) Another way to look at it is that the increase of an entire 1% will increase the payment by $240. If this buyer was maxed out on their ability to pay, either by their own budgeting or by the mortgage underwriting, they would need to drop their expectations to a home of about $450,000. For the first time homebuyer this could be an issue and could drive down prices by some amount. If you live in DTLA or anywhere west of downtown, and you are currently paying rent or own a home in a neighborhood you want to get out of. Or if you need more room. You need to get used to the fact that a quality home or condo in a good neighborhood is going to cost you a million bucks. We have shown here and here why these prices are unlikely to decrease anytime soon, and we’ve shown here why buying is much better than renting (assuming the same quality home and neighborhood. What will it take to get that $1m dollar home, and how can you start planning now to make that purchase? What income do you need to qualify for an $800,000 mortgage? The standard down payment for any home purchase is 20%. Therefore, if you are buying a $1M home, you’ll need $200,000 down. That means you will need to qualify for an $800,000 mortgage. Clearly, you can pay more down, and your payments will be less, therefore making it easier to qualify. You can also put less than 20% down, but then your monthly payments will go up and you will need to pay an additional amount for PMI (premium mortgage insurance) through the FHA or through private insurance providers. For this illustration, we’ll assume the standard situation. At 4% interest, the total cost including taxes and insurance will be approximately $5700 per month. The recommended income for this type of loan is $240,000. With outstanding credit, you might be able to slide by at $207,000. If you were to eliminate all other debt, including car debt, you might be able to qualify with an income of $170,000. The range of the ratio acceptable today is an income equal to 28% to 41% of payments on debts + property taxes + home owner’s insurance + PMI. Step one would include getting enough income and low enough debt to qualify. How can you get the requisite income? Your personal earnings plus your spouse’s earning, and/or the earnings of any individual who will live on the premises and is willing to sign on the mortgage. Keep in mind that their credit score must also qualify. · Sell the expensive car and get by with a less expensive car or other transportation method. · Cut back on expenses to make large payments on credit card or other debt. The lower transportation cost will already help. You can get rid of cable TV, eating out, coffee out, and alcohol, not to mention cigarettes. Then review internet and miscellaneous expenses. Generally, you’ll find at least $500 per month that can be eliminated for a while or forever. · Who might “give” you the money to eliminate your debt or part of it. If you are already counting on these donations to help with the down payment, you may not be able to double dip here. On the other hand, the elimination of debt will lower the down payment needed, so would often be the better strategy. · Liquidate assets such as pension plans, savings, investments, or collections. Keep in mind that taking funds out of pensions will result in penalties if you are under 65. What If I can do all the above, but I can’t generate $170,000 in income? For many individuals that are looking to buy a $1M home, they are selling a home in the process. The sale of the home may create more down payment, thus reducing the needed income. Each additional $100,000 in down payment reduces the monthly payment by $550, and therefore reduces the income needed by about $20,000 per year. In the case where you have high credit scores and no debt, the income needed on a $700,000 loan would drop to $150,000. Alternatively, you might be able to rent out the property you now own. Any profit you can show on that rental would increase your income. However, you will need to show that you are a competent property manager and/or hire one, and you’ll need a lease in place. You can buy a home with as little as 3% down, but most mortgage companies would like to see at least 5% down. This also allows you to use private mortgage insurance, which generally has many benefits compared to FHA. Obviously as the mortgage amount goes up, the monthly payment goes up. You will pay about $550 per month more for a $900,000 mortgage compared to an $800,000 mortgage. In addition, you will pay PMI of around $300-$500 per month. If we use $1000 per month additional payment total, then the income necessary to afford the loan becomes closer to $275,000 per year, but could be as low as $200,000 with outstanding credit and no debt. The housing market, interest rate, and economy all remain vital cogs in the machine. For 2018, it's time to start looking at how the year will shape up and what's coming America's way. 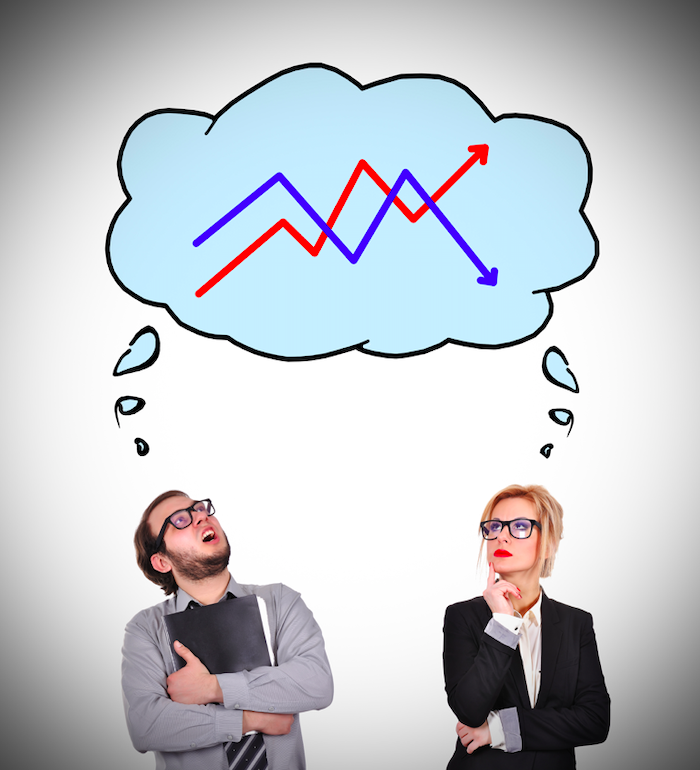 Will the economy falter leading to a housing market crash or is it going to sustain itself? This article is going to provide a clear-cut forecast for 2018 based on underlying factors. This is a detailed look at what will take place, how the market is responding right now, and how it will impact the economy in its entirety. The housing market provides hints as to the general economy and how it's doing. 2017 has been a decent year as the economy continues to grow and 2018 appears to be looking positive. The housing market tends to remain strong because people buy and sell houses unless the bottom falls out. In this regard, the real estate market should sustain itself and stand firm at the very least. The interest rates saw a sudden increase during the election season as it wavered with each swing between Trump and Clinton. While election season is in the past and a bit of stability has come in the White House, a lot of clarity has also made its way into the picture. The interest rates have been around 3.5%-4.25%. 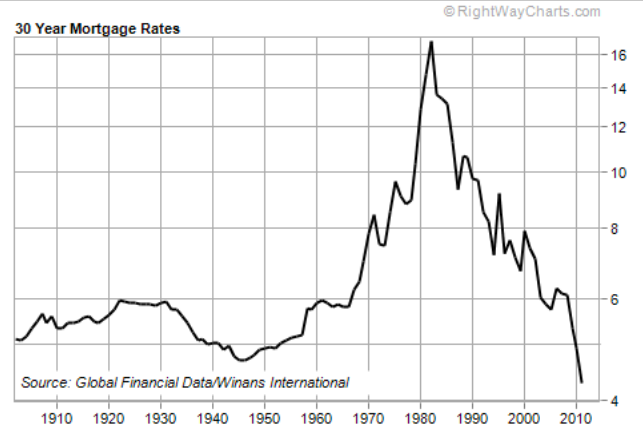 If treasuries increase to 4% or more, the mortgage interest rate should rise to around 4.75%-5.75% as mentioned. What about the economy? This can become a meaningful indicator for the housing market. If the economy starts heading in the right direction, housing is likely to follow. Signs remain strong heading into 2018. Most economists are stating the economy will grow making 2018 a good time to invest in residential real estate. Can you count on mortgage interest rates to remain low for the next year? 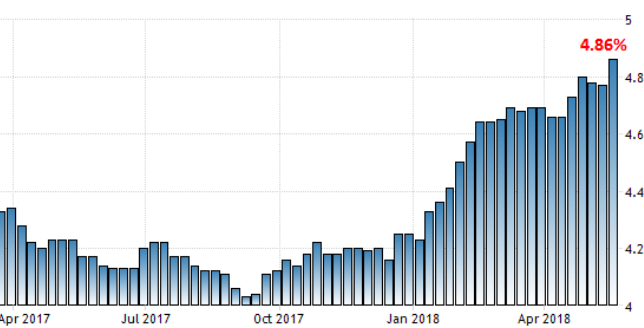 With the country experiencing “Full employment,” Fed rates up 2X in 2017 with more expected increases to come, the stock market flying ever upward, we see mortgage interest rates drop. At the beginning of 2017 and through the first quarter, pretty much every pundit has predicted increases in mortgage rates. So which way will they go in the rest of 2017 and into 2018? Is this a good time to buy a house, given the high prices and low interest rates? 1. 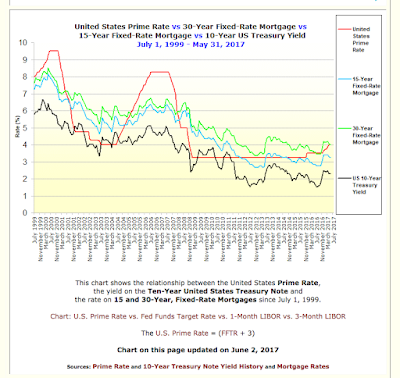 Bonds are the key: As is obvious by this chart, both 15 and 30 year mortgage interest rates move almost exactly with treasuries. And since treasuries are basically risk free, the premium for a mortgage is based on higher risk with 30 year being more risky than z 15 year. As treasuries move, mortgage rates move. 2. 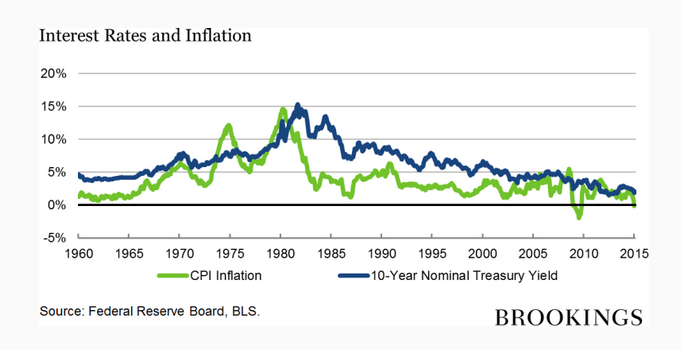 Inflation matters: Treasuries and other bonds track very closely with inflation. When investors risk capital, they want a “real” return. That is, they want to be compensated for lending their money at a rate something above inflation. To get $1.02 next year for $1.00 invested this year isn’t smart if the cost of living makes that $1.02 only worth last year’s $1.00. As you can see on the chart, inflation tracks with treasuries and all long term bonds. 4. Demand for mortgages: Like any other products, mortgage companies are subject to the market place supply/demand curve. Mortgage companies and the mortgage departments at major banks don’t make money sitting on mortgages, they make money originating or selling mortgages. Therefore, if consumers aren’t lining up for the product, the price is going to drop. Right now, demand is very low, as home turnover is light, and refinancing is extremely low. Thus mortgage companies must drop the price to get the business. 5. The Fed: The Federal Reserve can tighten or loosen money (and thereby affect interest rates) by changing the Fed Funds Rate, buying or selling Federal Reserve Assets. 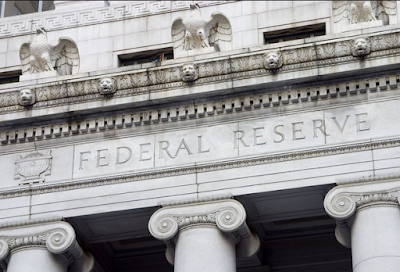 These two efforts by the Fed sometimes have immediate affects on other interest rates, but it is the least important in how it affects mortgages. These five factors make clear why mortgage interest rates have remained low, and have even fallen in the last few weeks. What about the future? Let’s take a quick look at each of the above five factors. 1. Bond movement seems unlikely. The economy is still moving up, but in an anemic way. If business picked up to 2.5 or 3% annual growth, bonds would likely increase yields. 2. Inflation is non-existent. Even with “full employment,” there is no pressure on hourly wages. This may be because many in the labor force are underemployed in hours, skills, or both. There is no evidence of commodity inflation and oil/energy seems headed lower. 3. Wealth appears to be growing and the options for great yields continue to be a chimera. The aging of most populations in the world and especially in the US would account for much of this wealth growth. It is also clear that home value increases and the stock market records are producing huge amounts of wealth that need reinvestment. 4. Mortgage demand is unlikely to rebound. There are few existing homes for sale in most US markets and very little new construction. Most who would refinance to get lower rates have already done this. Refinancing for cash, consolidation, etc., seems to be at a very low ebb. That could create more demand in the future if homeowners decide to use some of the equity they’ve amassed. 5. The Fed is promising to continue to tighten, and over time this has to have an effect on all interest rates. The Fed would like to see inflation at around 2% which would also likely impact current low interest rates. So far, however, the economy has been very resistant to the Fed’s efforts. If you are planning to buy a home or investment property, and mortgage interest rates are a consideration, you probably have some time to get the super low rates of the past several years. 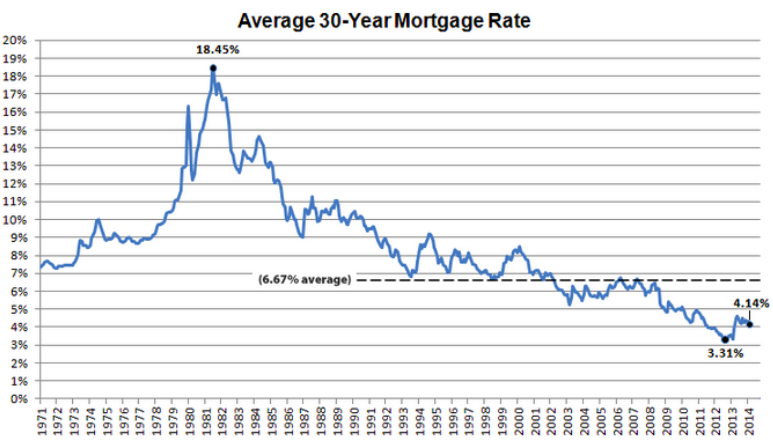 As this is written, rates have dropped to 3.625% for 30 year and 3.250% for 15 year. Those rates are for a jumbo loan and an A+ borrower who is purchasing for occupancy. If not a purchase, the rate may be 0.125% higher. Bill Rayman is more than a traditional mortgage broker. Bill is a financial consultant with regard to mortgages. He will help you get the very best mortgage for your specific needs. He is also extremely resourceful if you have issues that might typically get in the way of a mortgage. Call Bill today to discuss options. As a mortgage broker, Bill is only paid if you get your mortgage, so he’s going to work very hard to insure a positive result.